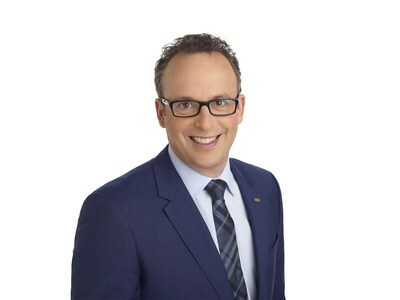 QUEBEC CITY, Feb. 6, 2019 /CNW Telbec/ - SSQ Insurance proudly welcomed the news of their CEO Jean-FranÃ§ois Chalifoux's designation as the 2018 Financial Personality of the Year. Chalifoux was honoured by an independent jury of industry peers as part of the annual Top 25 financial industry ranking by Finance et Investissement. "I'm very pleased to be receiving this award, which I wish to share with my SSQ Insurance colleagues. I'm happy to be able to count on the 2,000 employees dedicated to our organization. Their commitment and involvement in the company's projects has allowed SSQ Insurance to continue to grow and position itself well in the industry," said Chalifoux. "I thank them for their hard work and dedication." Jean-FranÃ§ois Chalifoux is a leader with a vision who has focused the company's efforts on performance and innovation to maximise the company's results. The members of the jury acknowledged his strategic audacity and sense of innovation in addition to the company's growth. Chalifoux joined SSQ Insurance as CEO in September 2015. Since then he has orchestrated the company's transformation. Following the implementation of a new organizational model, the merger of the company's legal entities and the introduction of an ambitious strategic plan, the company launched its new brand identity in 2018 as the crowning achievement of the changes for the company's members, customers and partners. Each February, the French-language publication Finance et Investissement hands out its Top 25 ranking of Quebec's financial industry personalities, including the Financial Personality of the Year. This honour is an acknowledgment of the influence, exceptional achievements and remarkable growth of the company under their management.